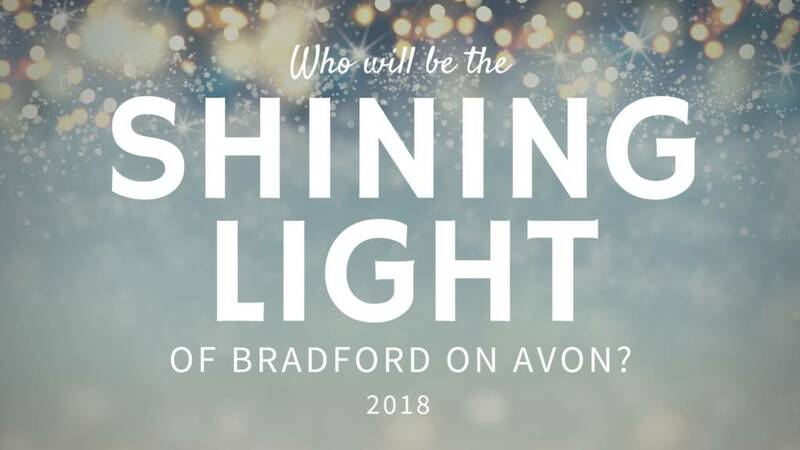 Do you know someone who has made a real difference to the Bradford on Avon community in 2018? If so, nominate them to be this year’s Shining Light of BOA! Two winners will be chosen, (1 adult and 1 child), to press the button which lights up the town at the annual Christmas Switch-on event as well as each winning a hamper of Christmas goodies! Nominees must be available from 6pm on the evening of 30th November and be a resident of Bradford on Avon (BA15 1 or BA15 2). Nominations close at 5pm on 12th November and the winners will be selected by a panel of judges. If you would like to nominate someone CLICK HERE to complete the online form or alternatively drop into the Council Offices and fill out a form. 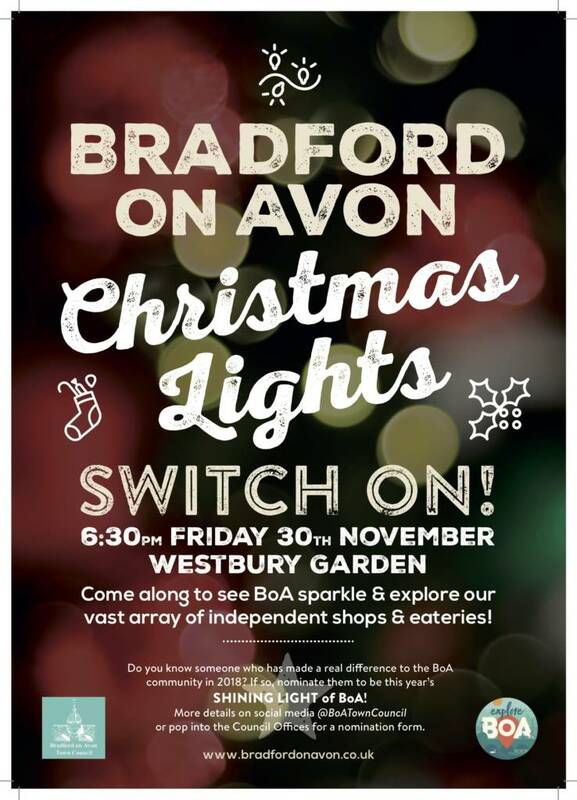 Winners will be announced week commencing 19th November and don’t forget to SAVE THE DATE for the Switch-on event itself at 6:30pm on Friday 30th November.